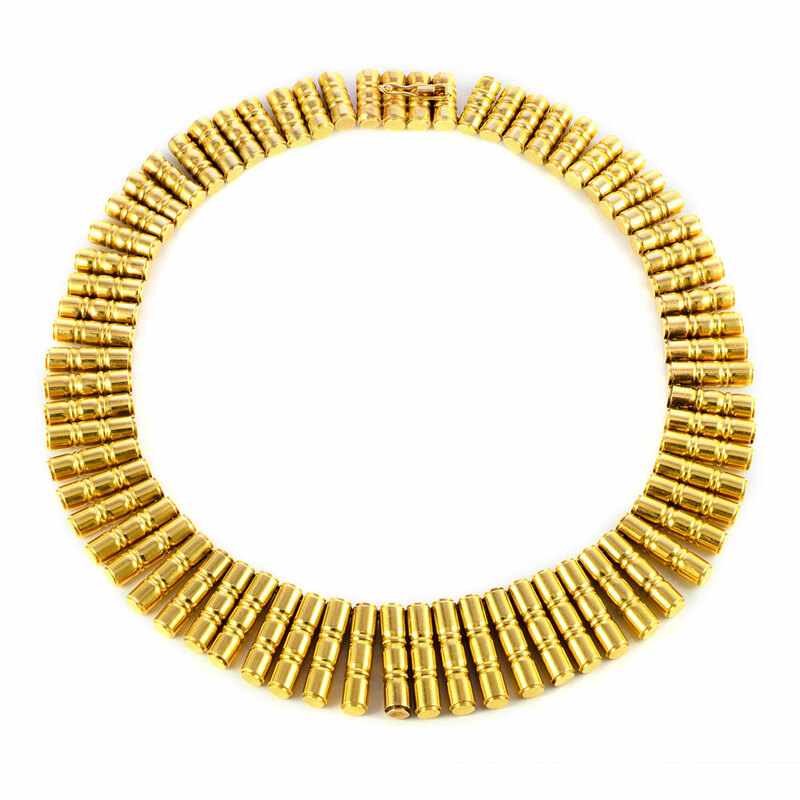 Heavy 18k gold graduated .22 caliber bullet-form fringe necklace. Width: 1 inch at front. 1/2 inch at rear.